We are a team of dedicated professionals, ready to help you every step of the way on your motorcycle journey. Bernie has always had a passion for motorcycles and in 1985 established Top Rider Australia so that his passion could be shared with others. It’s been over 32 years since Bernie had the concept of a training organisation that went far beyond just getting new riders to road licence levels. Armed with his own knowledge gathered from national racing and his inbuilt passion for everything two wheels, he set about deconstructing and debunking the various methods of riding and racing a motorcycle, rebuilding the best and most essential elements into Top Rider’s unique Advanced Riding Schools. Combining a natural orator’s delivery with a cheeky grin, Bernie’s aim is to ensure that every student leaves armed with real-world knowledge, and a smile. 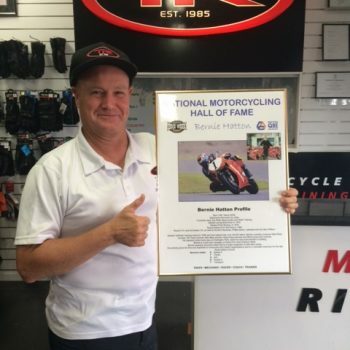 Bernie was inducted in the Motorcycle Hall of Fame in 2005 for his initiative into safety and rider training. 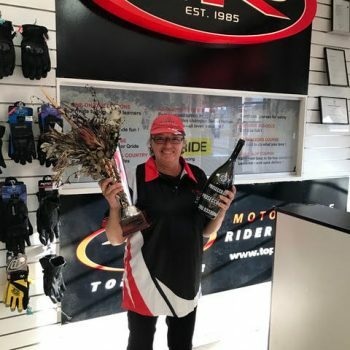 A recognised leader in the motorcycle sporting world, Bernie has taught students who have gone on to win over 120 Australian National and State titles. 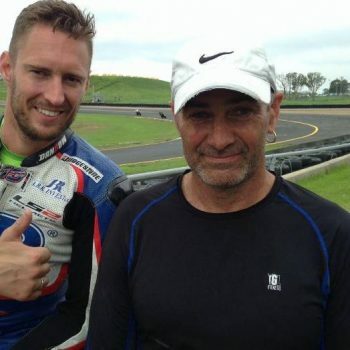 In 2013, Bernie was the expert riding coach on Channel One’s successful reality series: The Ultimate Rider, co-presenting alongside former MotoGP star, Daryl Beattie. Bernie loves to share his knowledge and experience and is constantly developing new programs and courses to keep riders safe on the roads! 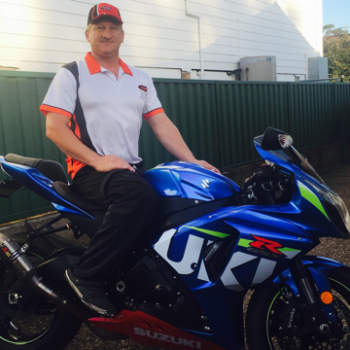 After completing our Instructors Course Deano joined the Top Rider Family in 2003! Working alongside Bernie, Deano has continued to grow and is now also our Instructor Manager. It’s a proven fact; people that are happy do their job better. And that’s great news for anyone under the instruction of Ricky. 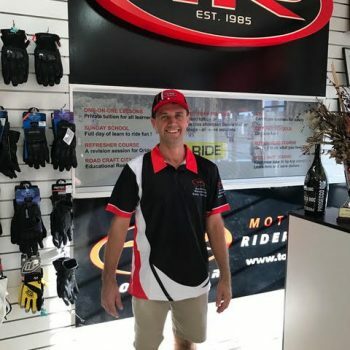 Ricky has been part of the Top Rider family for a decade now and still loves getting out on the road and assisting the whole of Queensland in finding a new life on two wheels. 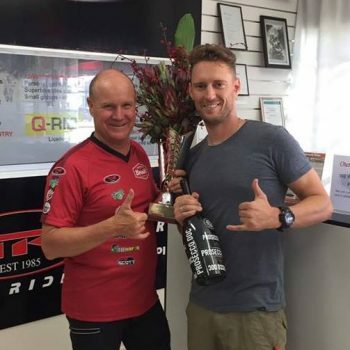 Ricky is our First Lady of travel, running courses from the bottom of the Gold Coast to the top of Cairns! Ricky also enjoys delivering our ATV and Quad courses. After learning the ropes, Bernie handpicked Owe to become part of the Top Rider family, and neither have looked back since! With a precise and methodical approach to training, Owe has grown within his role and has his own calm and confident teaching style. 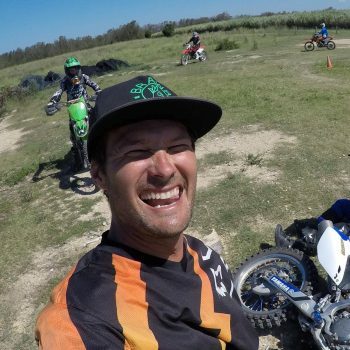 When he’s not instructing, you’ll most likely find him ruling the roost on his dirt bike. As the oldest instructor at Toprider, I bring with me 40 years of experience in adults training and development both in Australia and in Switzerland, my country of origin. Most of my teaching career was in Architecture and IT. Motorcycling has always been a hobby, since I was a teenager, so when the time came to retire from academia I decided to put my expertise and hobby together and went looking for ways of becoming a motorcycle instructor. It didn’t take me long to find that Toprider was the place I needed to get into if I wanted to keep working at the high standard I was used to. I took part in Topriders instructor training and joined the team in 2015. Toprider has really given me what I was looking for, great expertise in a relax and friendly atmosphere. On top of instructing QRide I instruct Adventure Rides! Hi, I’m David. I love long rides on the beach with Bernie. In fact, I love longs rides anywhere with everyone. I’ve had over 30 years of great times riding motorcycles and 10 years of sharing the fun and knowledge as a Top Rider instructor. It’s a great feeling helping someone achieve a goal or a dream, whether it is trying a motorcycle for the first time, successfully getting a license, or riding a bike to the top of that secluded steep and rocky hill. “I have been riding since the early 90’s after being trained by Bernie Hatton himself. I have spent most of my life as a chef and restaurant owner. I found that my favourite part of being a chef is the passing on of knowledge to apprentices. 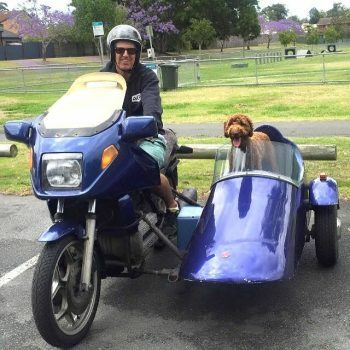 Now working for Top Rider I can combine my joy of teaching with my passion for motorcycles!” When Mark isn’t teaching at Top Rider you might find him cruising the Gold Coast with his red labradoodle, Bob Black #sidecarbob! I started riding motorbikes at two and a half years old. Thanks dad! Growing up there was always a motorbike to ride. I rode bikes in the forest and on my families properties. My first independence came when I was 16 and 9 months and could get myself around town on my XL100 that I inherited from my dad; just had to display the L plate, no supervisor required back then (oh maybe I am old). I met Deano in 2016 and he was saying how his work was needing more instructors. I decided to get qualified and learnt a lot more than I thought I would. I was offered a position and have been enjoying the feeling I get when students get that light-bulb moment and they understand what they thought they already knew. Becoming better and safer riders in the process. Hi, my name is Tony and I am Top Rider’s newest Instructor. At the end of 2016 I was looking for a way to share my 14 years of road riding experience and passion for motorcycles with others. After a little bit of research, there was only one option! Completing the Instructors course here at Top Rider has enabled me to help people turn their motorcycling dreams into a reality. This gives me a real buzz and has turned out to be one of the best decisions I have ever made! George received his first bike (a Honda tom thumb 50cc) at age 5, and began racing at 8 years old. Fast forward to 2009, George became an accredited rider trainer. In the four years that followed, he developed his skills as a trainer, to not only teach people how to ride on the road, but to help people achieve their goals on the track as a mentor and a coach. 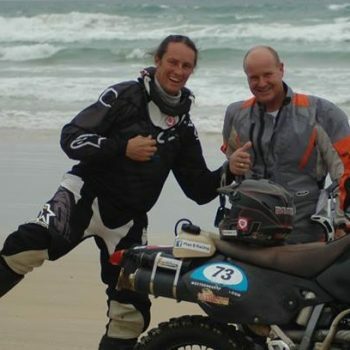 Within his role as an advanced motorcycle trainer, George has had the opportunity to coach, mentor, and work alongside some of the most talented riders in Australia and New Zealand, the likes of Gentleman John Woodly , Shaun Giles , Alex Cudlin , Gareth Jones and many more. 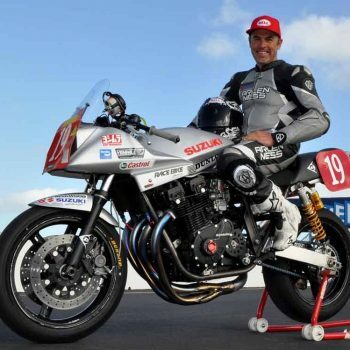 In 2012, Toprider Australia sponsored George with a 600cc motorcycle to road race in the southern downs road race series. In his first year of road racing, George managed an impressive 7th place from a field of 45 riders boasting some of Australia’s finest young talent. In 2015, George returned to racing, this time competing in the one-litre class and spending most of the season in 4th place and securing a few podium wins. 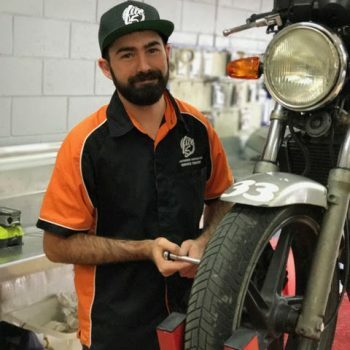 Following years of extensive rider training, George decided to take a step back to spend more time focusing on the workshop and mechanical side of motorcycling. This led him to complete his motorcycle mechanic apprenticeship where he was awarded motorcycle apprentice of the year. Timmy started riding and racing at a very young age. At only four years of age he was up and riding on his first motorcycle (a Honda QR50). His love for racing started on the dirt before he made the transition to road at the age of 12. On a Yamaha YSR80 he first started honing his road craft, spending more time on the track and race circuit. Following some success on the track and a few unfortunate crashes, Timmy decided to hang up the boots for a while to pursue his passion in motorcycle mechanics, commencing his apprenticeship. He returned to the track racing a Morriwaki MD250h Moto3 finishing the year in overall 9th position after an unfortunate crash. 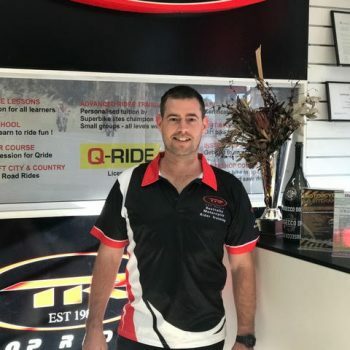 Over the past 20 years, Timmy has raced with some of the country’s best riders, under the guidance of some of the most experienced coaches in Australia. 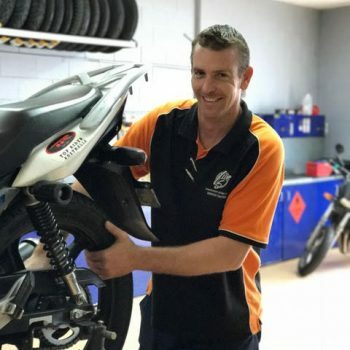 Timmy’s experience on the track and racing circuit, paired with an exceptional knowledge in motorcycle mechanics led him to work as head mechanic and suspension guru for teams in the ASBK. He has quickly gained a reputation for his ability to increase bike performance and get riders to the top of the podium, often with nothing more than his experience, knowledge and a couple of spanners. I’ve been riding since I was kid and have always loved it! I have been with Top Rider since 2013, where I started off volunteering at the track before making my way up the chain through marshalling and onto coaching! I really enjoy training and teaching people how to become a better rider. I’ve always loved riding motorcycles from an early age & have a passion to keep on learning. 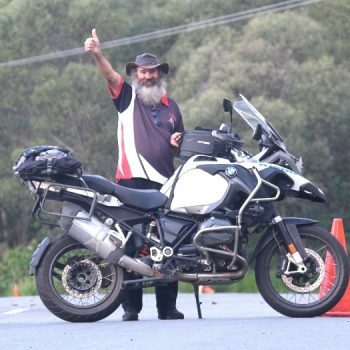 I met Bernie & some of his coaches at Marulan when I started doing Top Rider courses. I started marshalling at his Coach & Setup days in Sydney & have recently started coaching. I love helping others as Top Rider has done for me! From being Australia’s youngest-ever entrant into MotoGP at just 17, it’s a testament to Westy’s training and determination that he’s still competitive on the world stage in 2017. Throughout this period and beyond, Top Rider’s Bernie Hatton had Westy’s corner, in the dual roles of both riding and personal coach. Hailing from a dirt track background, Ant’s known as “The Rain Master,” due to his ability to read the track and conditions, and race (and win) accordingly. When he’s not aiming from the front of the next Moto2 race, Ant often turns up Top Riders Advanced Courses and adds his considerable smarts to the proceedings. Triple Australian champion isn’t a title that gets banded around very often, but that shows the depth, knowledge and skill of Shawn Giles. 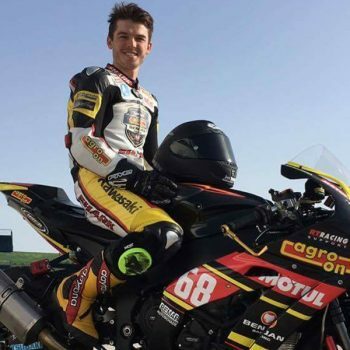 After retiring in 2011, Shaun knew that to end his motorcycling journey there would be a waste of two decades of racing experience, so he joined Top Rider to pass on mental and physical attributes that are needed to ride at the very top level. 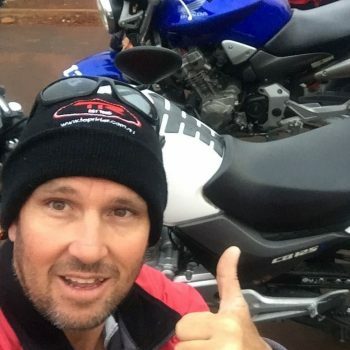 Shaun’s superbike background, combined with Top Rider’s unique Advanced Level training, means that you’ll be the real winner attending one of these courses. With over 40 state and eight Australian titles to his name before he turned 16, Glenn Scott was pretty much unbeatable on the dirt before he switched to the tar. He was obviously a natural on all types of bikes terrain as, at just 15 years old, he went on to win the 125cc Australian Superbike Championship. There then followed two seasons racing in the competitive Spanish championships, before returning to race in Australia. Instructing on selected Top Rider Advance Riding schools, Glenn brings the latest race techniques to each course.